John Brazier Lea (known as Jack) was born in Staffordshire in 1894, the son of Emily Annie Lea. In 1898, His mother married Tom Cholerton, a Beeston machine fitter and Jack went to live with his grandparents, John & Ann Lea in Burntwood, Staffordshire where he can be found, age 7, on the 1901 Census.2 In that census, his mother and her husband Tom were living at 61 Derby Street, Beeston with their two sons, Thomas Cyril (age 2) and William (age 9 months)3. A daughter, Nellie, was born in 1904, tragically followed, just a few weeks later, by the death of Tom, aged only 39. It seems likely that it was at this time that Jack rejoined his mother in Beeston. He was one of the first members of the 17th (Beeston) Nottingham Company Boys Brigade which was formed in 1909. The company was started in the "Anglo Scotian Mills" property, moving in 1913 to Station Road. He excelled in gymnastics, which put him in good stead for his army service life later on. Jack was also an active member of the Brass Band and in other activities of the Boys Brigade. At the age of eighteen he joined the Brigade Old Boys, which met in the senior room of the Lads Club premises. At this time, the family continued to live in Derby Street Beeston. 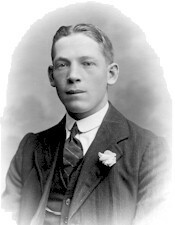 After leaving school his working life was spent in the employ of Foster and Pearson Ltd where he was to remain until enlisting in the Sherwood Foresters in August 1914, when the Company Captain Stephen Hetley Pearson marched a group of young men from the Lads Club to the Derby Road Recruiting Centre where they enlisted en-block in the Sherwood Foresters. Jack's brother, Cyril, enlisted in September 1915. For three years, while based in England, Jack acted as the Gymnastic Instructor in the 15th (Bantam) Battalion, which was part of the 35th all Bantam Division; he was promoted through the ranks, finally reaching the rank of Company Sergeant Major. We marched through the night saw the village of Bray on a signpost...then into the open country, told to lie down flat and load. We were on top of the hill looking down into the valley and as the fog cleared we saw masses of Germans, advancing and firing from the hip. They came on and worked right behind us...we had to make a dart for it and I tumbled into a shell hole. Private Taylor noticed many of his comrades dead before he managed to get on a Red Cross Vehicle and, with other wounded, made for a Casualty Clearing Station. 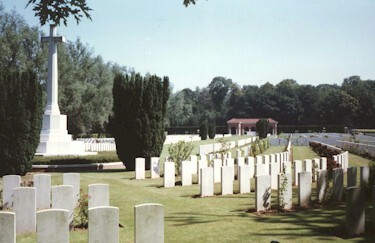 Today the cemetery comprises approximately 3,300 burials in all, following subsequent post-war consolidation; fewer than 200 of these graves bear names, the remainder are unknown. The cemetery also includes a memorial to 27 NCOs and men whose graves are unknown. The son of the leader of the British Labour Party, Arthur Henderson, is buried in this cemetery. David Henderson, a Captain in the Middlesex Regiment was killed while fighting in High Wood on 15th September 1916. Aged 27. Of one we loved so well. 2Burntwood, Staffs. 1901 Census, Piece 2655 Folio 140. He is recorded as "John Lee" in the CWGC records. 4The Blast of War by Maurice Bacon and David Langley. a History of Nottingham’s Bantams - 15th Service Battalion. 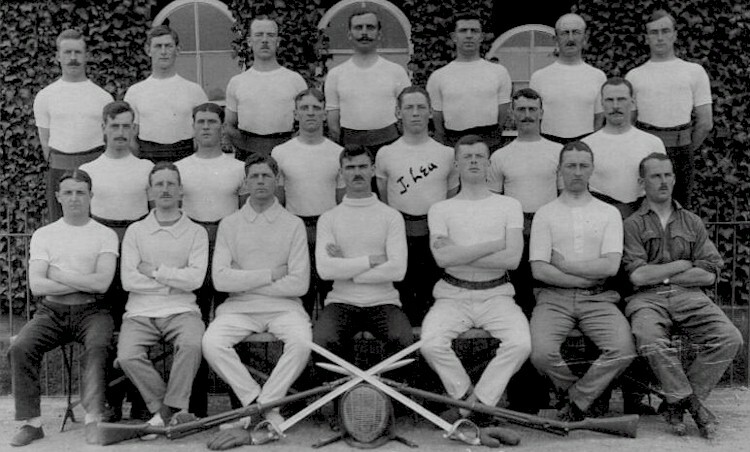 Sherwood Foresters, 1915-1919.